Two of the most AMAZING oils I've ever used. It's no secret around these parts, I'm a huge fan of Be Kekoa. Not only as a brand, but as a salon. Brandie and her team are super dope, and if this isn't your first time on my blog, then you already know who Bae is. Since the trip we took to Tahiti in December, Be Kekoa has exclusively launched two oils in collaboration with local farmers in Huahine and across the islands of Polynesia. But this wasn't your regular ol' westernized smash n' grab for resources - that's not how Be Kekoa gets down. Bringing these oils to market was nothing short of a case study in ethics, fair trade, sustainable sourcing, and economic empowerment from the ground up. Needless to say, I'm super proud of Brandie and the Be Kekoa team for setting out to change lives. To do good. In a society where big brands pillage indigenous cultures for natural resources (see: Africa, and pretty much ever other corner of the globe with people of color), I take comfort in knowing that there are still people and brands that stand for something. That that believe in the greater good. That put people before profit margins. We'll talk more about the ethics behind beauty brands (because that's a conversation worth having) soon. In this post, I want to share with you all my experience with Be Kekoa's Tamanu Oil, and their newly released Cocomanu Oil. They're both amazing in their own right - but I wanted to highlight some key differences between the two that will help you decide if one (or both!) is right for your particular hair and skin concern. Harvested, pressed, and crafted by hand in Huahine, French Polynesia. Bottled in Temecula, California. Deep amber, with a viscosity similar to Jamaican Black Castor oil, but not quite as thick. Tamanu Oil, up close and personal. Tamanu Oil is naturally rich in Vitamins A and E, and anti-inflammatory Omegas 3, 6, and 9. It heals and promotes healthy hair and skin with a combination of anti-oxidants and anti-inflammatory agents. Because Be Kekoa Tamanu Oil is handcrafted and cured in the sun (not zapped by machines) and free of pesticides, it retains all of it's nutritive properties. 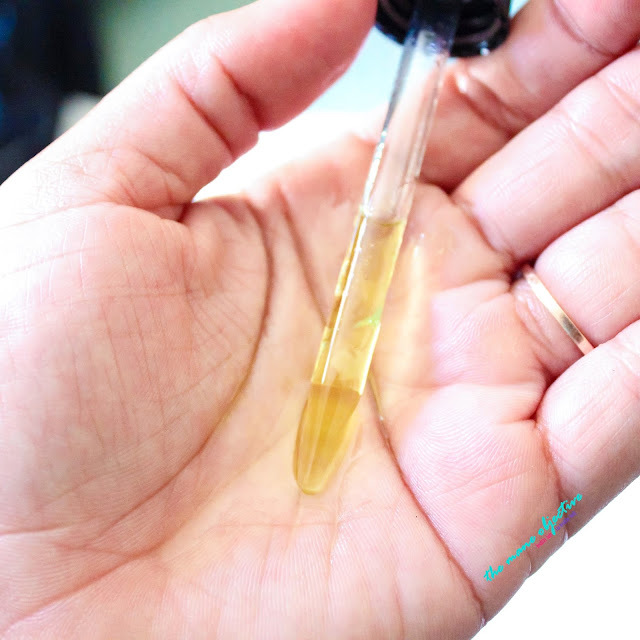 When looking for an oil for your hair and skin, you want to pay attention to its composition (pure is best), the method of extraction (cold or natural for optimum retention of nutrients), and free of pesticides (because industrial refinement to eliminate pesticides robs the oil of its nutritive benefits). You've already seen Be Kekoa Tamanu Oil in action during the Great Oregano Mishap of 2016. Be Kekoa Tamanu Oil has been nothing short of amazing on both my hair and skin. Even though I've clearly got bags under my eyes (#teamneedmoresleep), I don't have the crazy discoloration I normally would because I apply a few drops of Tamanu under my eyes right before bed. Tip: don't rub your eyes. I've also use Be Kekoa Tamanu Oil on insect bites, and to spot treat itchy areas of my scalp. Back in December, I used Be Kekoa Tamanu Oil to re-grow a spot on my scalp that went bald (no lie), but I can't find the pictures. But when I do, I'll update this post. It was completely regrown within a few weeks. Light yellow with a consistency similar to sweet almond or coconut oil. Cocomanu Oil, up close and personal. I like to think of Cocomanu Oil as the best of both worlds. It combines the nutrient richness of Tamanu Oil (Vitamins A and E, plus Omegas 3, 6, and 9) with the powerhouse realness of coconut milk, delivering an intense dose of Vitamins B1, B3, B5, B6, C, and E. Cocomanu also contains selenium, iron, calcium, magnesium, and phosphorus. These vitamins and minerals combine to create a lightweight oil that deeply nourishes hair and skin without a greasy after-feel. Be Kekoa Cocomanu Oil has amazing penetrating power to nourish hair from the root, and treat skin deep underneath the surface. Honestly, I've been trying to figure out how I've made it this far in life without Cocomanu. Because Tamanu Oil is so potent and rich, I use it to spot treat. But with Cocomanu, I'm all over the place. I use it for scalp massages, as a hair serum for natural shine, and as a daily facial moisturizer to help keep my psoriasis at bay. I love how lightweight and versatile it is! With Cocomanu, I'm on my #OperationForeverYoung skincare grind forreal. Be Kekoa Cocomanu is also made with the Mana and blessing of the people of Huahine. It is also the only Coconut Milk-Tamanu Oil blend on the market, period. To get yourself some Be Kekoa Tamanu or Cocomanu Oil, visit www.bekekoa.com. OR - you can enter my exclusive GIVEAWAY! That's right peeps - Brandie and the Be Kekoa Team straight laced me with THREE bottles of Bae Clean and THREE bottles of Cocomanu Oil for THREE LUCKY WINNERS! And guess what? For my readers that don't have social media, I'm picking one of my winners HERE ON THIS BLOG POST! That's right! All you gotta do to enter is COMMENT BELOW letting me know why you wanna try Bae Clean and Cocomanu! That's IT! The giveaway ends MONDAY, AUGUST 15th at 11:59pm PST! On Tuesday, August 16th, I'll reply back to the randomly selected winner asking you to e-mail me your shipping info! Y'all...get on this contest because the Be Kekoa Bae Clean + Cocomanu Prize Pack is worth almost $70 alone!!! If you have Instagram and want bonus chances to win there.. give me a follow @maneobjective and keep your eyes peeled for the giveaway post!!! 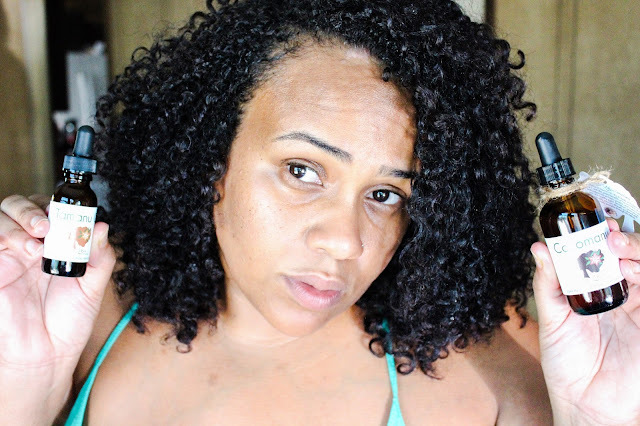 I am transitioning from relaxed to natural because my hair was over processed and broke off so badly in the crown area that I thought I was going bald. I would love to try this line to strengthen my hair and grow the areas that are damaged from relaxing. I have been natural since 1998 and in the last 4 years have hit a growth stump. I get horrible split ends. I need something that can help stimulate hair growth while maintaining what I have on my head already. I would appreciate trying out these products. Thank you for the opportunity. I want to give these a try because my skin has been going through it with discoloration from hyper pigmentation and the lack of a healthy glow. Plus I have some problem areas with my hair as well where nothing seems to get it to grow properly and flourish no matter what I do. You always give great reviews on Be Kekoa products and I would love to give them a try to assist me with a healthy hair and skin care regimen. I've been natural for 6 yrs now and have tried so many products (fellow product junkie), but I still haven't found a combo that I'm consistent with and that my hair enjoys. I also would love to see what the oil could do for my blemishes and acne breakouts. Thanks! I would love to try the Cocomanu oil. I'm a young man who due to stress from prior military service started to lose my hair. I've literally tried everything and in the process I've become a product junkie lol. I would love to find something that would help stimulate growth and help regain my confidence. First, I would like to say Christina that your product reviews are extremely thorough and never disappoint! And this one is no exception. With that said...why do I want to have the chance to try the Bae Clean and Cocomanu oil? Welp besides your testimony that these products are EVERYTHING in the benefits that they provide to hair and skin, I love the fact that the oil is ethically sourced. The collaborative efforts between the company and the local farmers of Polynesia is something that I can definitely feel good about supporting. I believe the Bae Clean and Cocomanu oil can help me with the shedding and retention of my coily mane,as well as the heath of my skin. Thank you for providing this giveaway and allowing us to have a opportunity to win some awesome hair products that offer so many great benefits. Over here from Insta, trying to double my chances... Bekekoa has been on my radar for a while. Would love to give them a try in my hair routine. sidenote: Love that they participate in fair trade. My kind of company to support. I would love to win because I've never used cocomanu or Tamanu oil before and they sound amazing! I think I take pretty good care of my hair but there's always room improvement. I'm moving towards more natural products and a lot of black castor oils on the markets are surprisingly processed and not all natural as I would liked. So I would to win this prize pack and experience the benefits of these oils. I �� Bae clean! 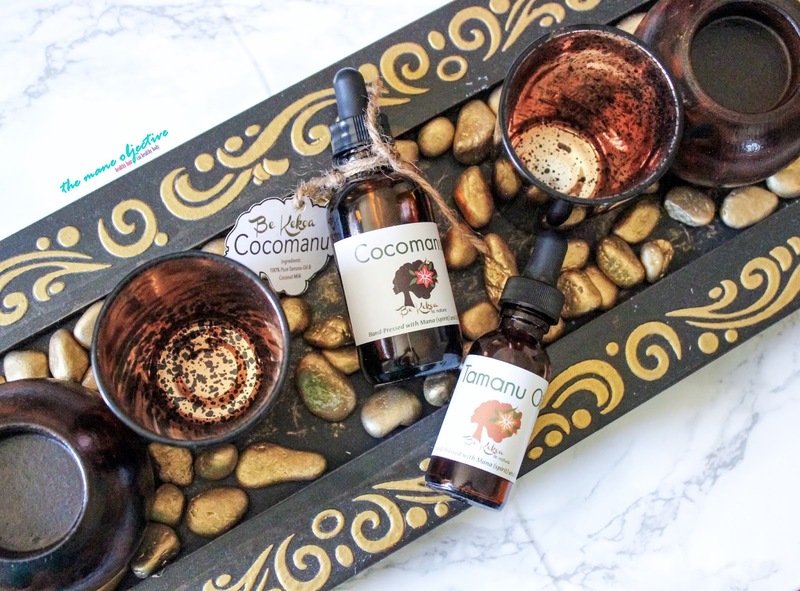 Now it's time to add cocomanu to my regimen...Brandie Bekekoa is a purest, that honors culture when creating her products and I want to indulge in this oil! I think I'd like to try it simply because I feel like it will help a lot of the skin problems I do have, namely hyper pigmentation and dry scalp. A lot of us have tried a lot things and have done different solutions but if these oils are as magical as you say they are I feel like they could provide some relief to my scalp and help treat my skin. the fact that these are sourced ethically and retain their natural properties already tells me this is more valuable than all the expensive creams and oils in sephora and ulta combined! I also know its made with love which counts for something. I'd like to try this because you've given these products rave reviews and our hair,though different, likes the same products. I am transitioning and still trying to find my favorite products. I have wanted to try these since I started following you but they are kinda expensive. I love oils and pretty much anything you recommend (you're one of main product pushers, lol). The Cocomanu oil sounds like one I would love. That combination sounds interesting. I've tried Brandie's Be Clean Cleansing Conditioner, loved it and would like to try more. I'm especially interested in the tamanu oil because my hair fell out right after having my last son and it has not grown back. That was four years ago. Couple that with hereditary hair loss and hair loss due to relaxers and my head is a hot mess. I'm pretty much up for anything to help my hair grow back. I have never tried their products but I hear you rave about them so much that I want to see if the hype is real! I would love to try either the Be Kekoa Tamanu or Cocomanu Oil. I have been working on my edges since March 2016 and have seen some fuzz. I had a protective style in for about six weeks but because my hair around the edges are fine; it paid the ultimate price. I have seen the videos by Ghana Goddess including the ones from August 27th and Dec 23, 2015 and there is some improvements. I think I can benefit from this oil. I'd luuuv to try these Be Kekoa products because my hair needs the moisture and help with growth. I did the big chop in September of 2015, went to get a Devacut in March of 2016, and had to big chop again this month (August 2016). The girl who did the Devacut attempted to lift the black color off my hair and re-color it. She had me in the chair for over 3 hours. I cried because she totally damaged my hair. I tried so many things to repair it before I succumbed and just cut it off again. My hair is very dry and dull now and needs some Be Kekoa TLC!!! I tried Be Clean because of your reviews about it, and it converted me to cowashing. Right after I tried the first 8oz bottle, I immediately bought a salon size. My hair has seen some significant improvement and length retention. My hair has never looked and feel better. I really been meaning to try the tamanu oils. And even if I don't win this giveaway I still will buy them. I am transitioning from major heat damage and I believe these two products would help a lot. I have yet to find a cleanser that doesn't strip my hair. Based on your always honest reviews and raves about Be Clean, I think its just what I need, paired with the Cocomanu Oil. Thank you. I've been DYING to try BaeKekoa but I've always been afraid to get the salon size and spend $40 on the unknown but I also know that the 8oz would NOT be enough. I 100% trust your reviews and judgment lol I've been following you forever!!!! I also know that I need a reliable cowash in my life for sure. I would love to try Cocomanu Oil. I already us Be Clean and I think the adding the oil to my routine will help my hair so much. I'm also looking forward to trying this oil on my skin. Thanks! I would love to win these products because after post-partum hair loss I feel like these products will be essential in helping with hair growth and moisturize my hair. Like Ghana Goddess I'm having issues around my temples. It seems to have worked wonderfully for her, I'd like to see if It would work for me. I would love to receive these products to try them initially. The benefits for hair & skin seem to be amazing. Hoping to invest in this hair & skin regimen in the near future. Continuing my natural hair transition is important with natural products. Also, supporting black business is always key! I would want to try the Be Clean and Cocomanu oil because first of all, it is a Fair Trade Company, also Be Clean is an all in one detangle, cleanse, hydrate, smooth, moisturize, condition, as well as a leave-in conditioner! This would be a holy grail and staple in my home. I would love to try the wonderful and amazing Cocomanu oil to add to my daily routine of the LCO method. Thank you for the chance! I would like to try these products for my transitioning hair and for my acne proned skin. I just took down my crotchet braids and even though they weren't tight, they still did a number on my edges. I am definitely willing to give these products a try - need to regrow my edges. I didn't have any idea that such they have such slight variations which make them different from each other. Glad to have this post. Really a great product i would like to use this product as this is very beneficial for itchy scalp, moisturising, hair growth etc. Very Informative. Though I have never used these oil but have listened and read many positive reviews. If someone want to maintain a healthy and glowing skin then one can prefer for these oils. Natural products or oils are also good for skin. It will help to overcome your anti-aging marks and makes your skin more glowing. And also control the wrinkle problems too.